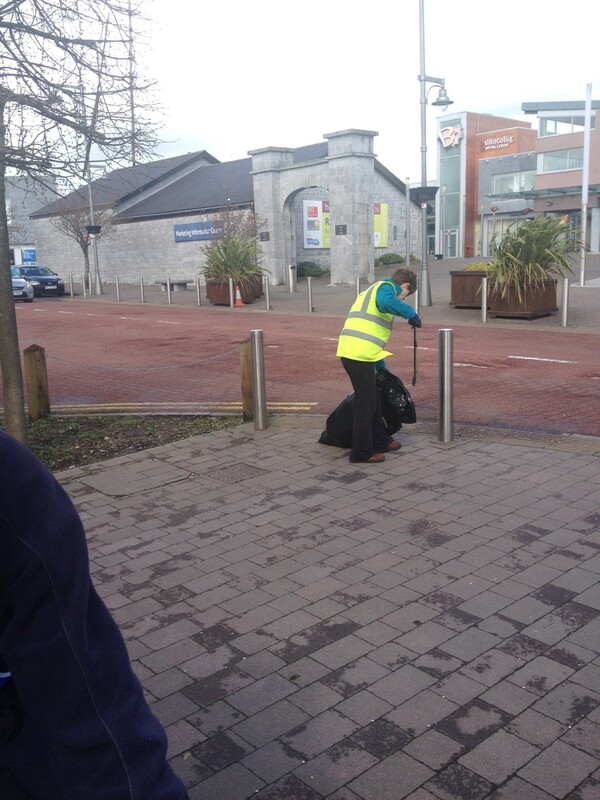 We were on our normal Sunday morning stroll with our friends Tommy and Joan and the two four legged ones, Bing and Tammy and as usual we saw the fantastic team of volunteers from the Ballincollig Tidy Towns hard at work. What would motivate you to get up on a Sunday morning and pick up other people’s rubbish and want to make your town tidier and prettier? We continue our walk through the village and we come upon a long row of trees that had been planted along the pathway of a busy road and each of them had been vandalised. 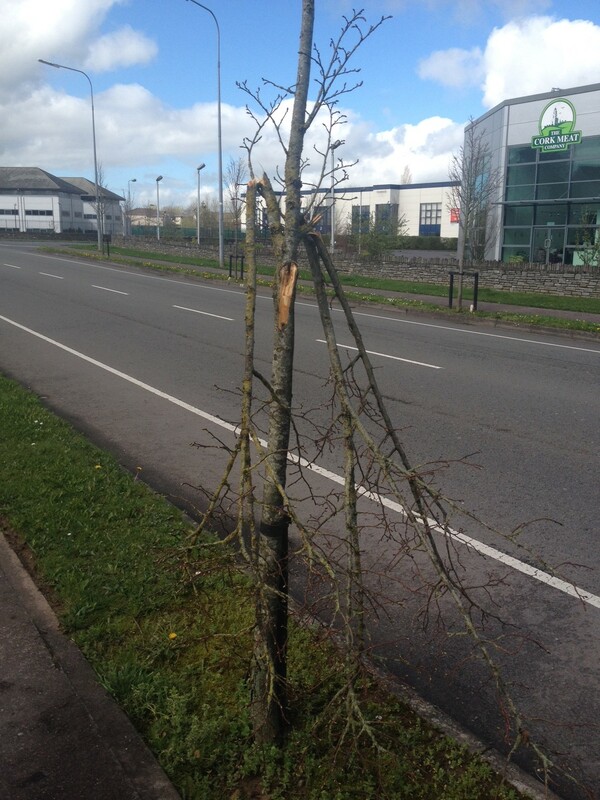 What would motivate you to put the effort into breaking beautiful trees that have been planted to make your town look tidier and prettier? What makes these people so different? A huge thank you to the Ballincolllig Tidy Towns Committee for the incredible work that they have been doing for years and as for the others .. This entry was posted on November 17, 2014 at 8:57 am and is filed under Motivation, Personal development. You can follow any responses to this entry through the RSS 2.0 feed. You can leave a response, or trackback from your own site.